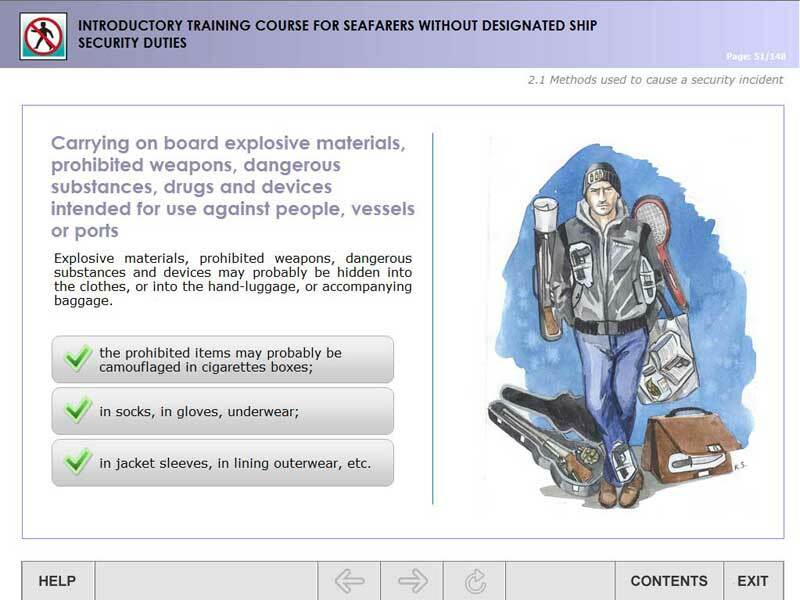 Security Awareness e-learning module is intended for familiarization training of seafarers in accordance with Table A-VI/6-1 of STCW Code taking into the concern recommendations of Section B-VI/6. 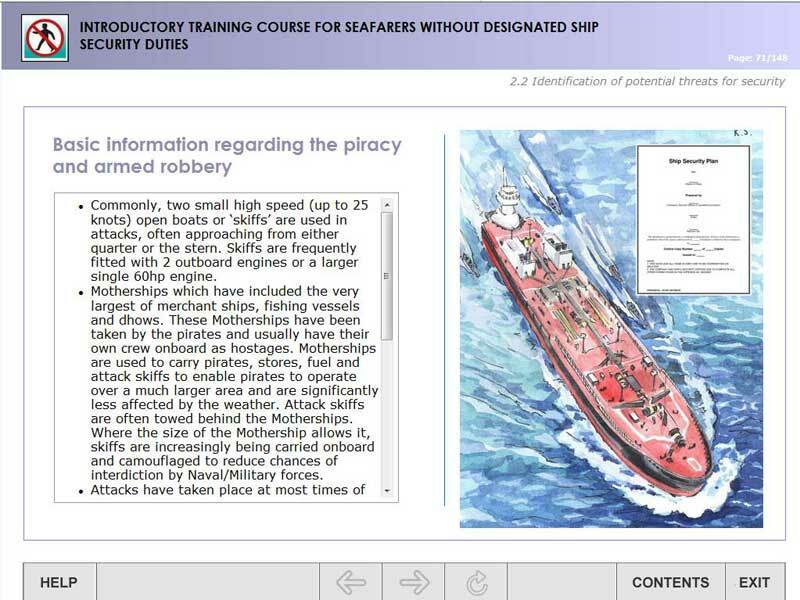 Module can be used on board by the ship security officer while familiarization training on security, instruction as well in educational institutions. Module is the electronic textbook on one or more topics of special disciplines. Theoretical materials are accompanied with drawings, diagrams, photos, animations and video clips. Module is designed for the operation in networked computer classrooms. Electronic pages of the textbook can be used as multimedia posters. Topic 1. Contribute to enhancement of maritime security. 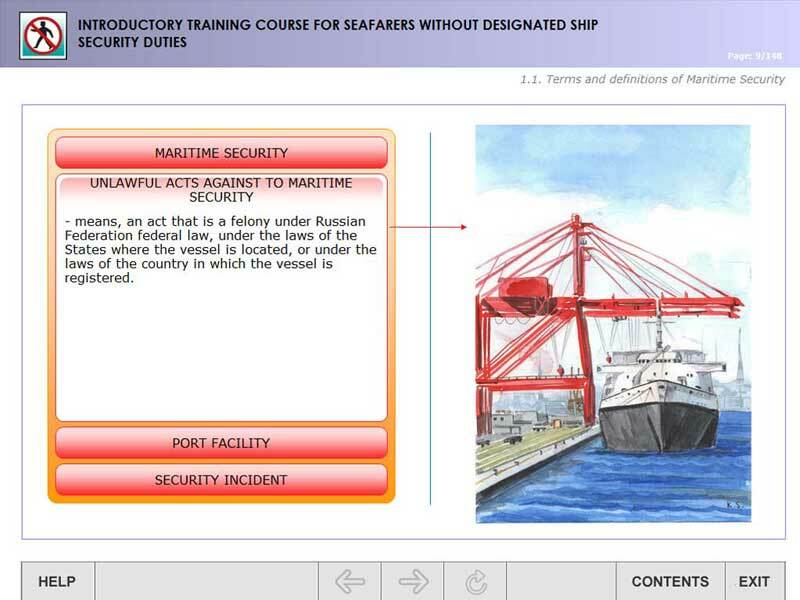 Terms and definitions on maritime security. Terms and definitions relating to piracy and armed robbery. International maritime security policy and responsibilities of Governments, companies and persons. 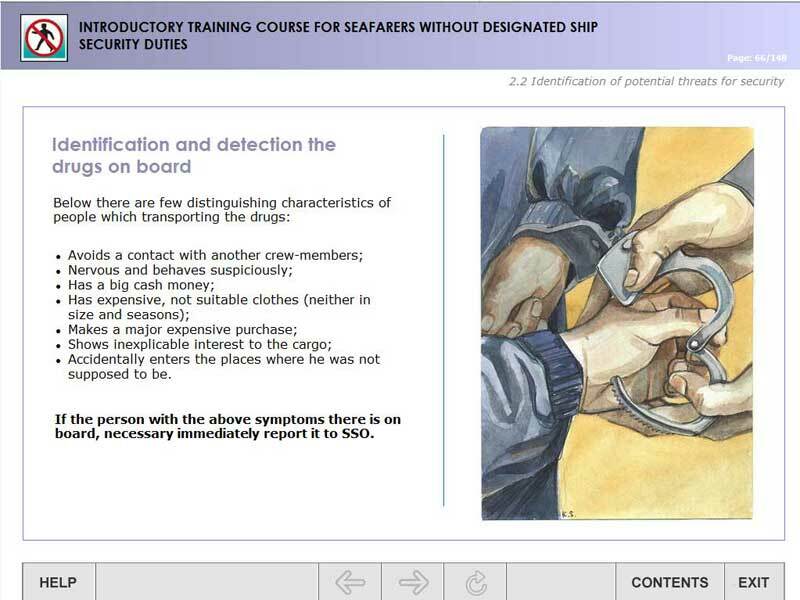 Maritime security levels and their impact on security measures and procedures aboard ship and in port facilities. Topic 2. Recognition of security threats. Recognition of weapons, dangerous substances and devices. Topic 3. Understanding of the need for and methods of maintaining security awareness and vigilance.